The National Salvation Day is one of the most memorable dates marking an important event in the history of Azerbaijan. On this day, all Azerbaijanis celebrate the historical return of the national leader, Heydar Aliyev, from the Nakhchivan Autonomous Republic to capital Baku. After the Azerbaijani people gained their independence for the second time in the 20th century, the socio-political and economic situation in the country was controversial and disastrous. The first years of the independence were characterized by the crisis within the country and in the government. On the one hand, the war in which Azerbaijan was drawn as a result of the territorial claims of the Armenians against Azerbaijan, and on the other - the activity of the forces fighting for power in Azerbaijan, exacerbated the situation. The Armenian attacks against Azerbaijan, which began in 1988, grew into a more aggressive attitude by February 1992 - genocide of Azerbaijanis in Khojaly, occupation of Shusha, capture of Lachin and soon after Kalbajar. Meanwhile, the country faced the crisis of power as separate groups and individuals were fighting for control. In June 1993, an explosive situation, which could lead to the outbreak of civil war, evolved in Azerbaijan. Having come to power in 1992, the Azerbaijan Popular Front Party could not cope with the situation in the country. In such troubled times, the country was in need of a strong-willed leader who could solve the existing crisis and prevent potential crises in the future. At the request of the people of Nakhchivan, the national leader and true son of his country, Heydar Aliyev, was invited to Baku to take power and prevent a civil war – the task that he accomplished successfully. Heydar Aliyev, who could not stand indifferent towards misfortune of his nation, accepted the persistent invitation of the people and came to Baku on June 9. 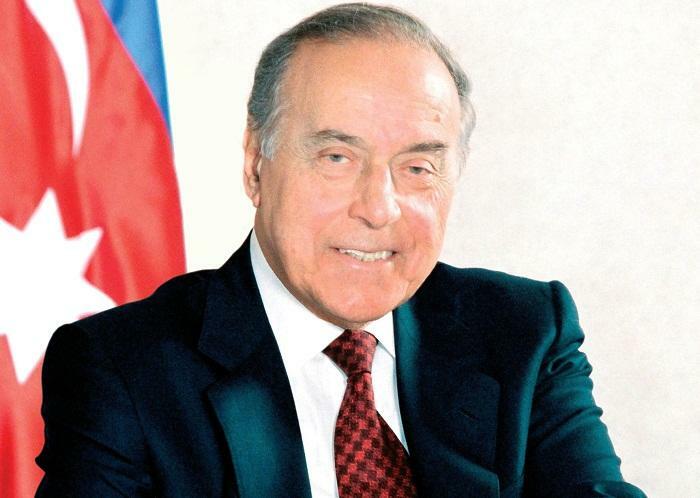 On June 15, 1993, Heydar Aliyev was elected chairman of the Supreme Council of the Republic of Azerbaijan, and, on June 24, by a resolution of the National Assembly, he proceeded to fulfilling the authorities of the president. By his competent actions as the head of state, Heydar Aliyev was able to eliminate social tensions and prevent civil war in Azerbaijan. He began the process of building strong and independent state in accordance with international norms and principles, created conditions for positive development. Heydar Aliyev's return to the power was a real salvation for Azerbaijan. Successive measures were taken to eliminate the problems that arose during the ignominious leadership of the former government. The people's healthy forces were mobilized to solve these problems. It was Heydar Aliyev who guaranteed his people today's stability and prosperity. Thus, June 15 entered the history of the country as the National Salvation Day. From this moment, the country's rapid development both economically and politically began. The holiday acquired the official status in 1997, and since 1998 it has become a national holiday.